The Budget guarantees a wide range of crops a profit of 50% over the cost of purchased inputs and imputed labour through minimum support prices (MSP). Many think this will relieve agricultural distress. In fact, it is sheer folly, a throwback to cost-plus approaches of earlier decades that failed miserably. Farm stress is a big issue as the general election approaches. The number of farmer agitations has tripled in the last two years. This does not represent a tripling of farm stress. More likely it represents a tripling of returns to agitations. Politicians are happy to cave in when elections are nigh. Modi says freebies don’t win elections. But Rajasthan has just announced a farm loan waiver, preparing for state elections in December. The BJP promised a loan waiver in last year’s UP election, and Maharashtra followed suit. In the Gujarat election, the BJP promised interest-free farm loans. I praised the Union Budget for avoiding pre-election freebies. But maybe these are just being switched to state budgets. The Madhya Pradesh government gives deficiency payments to farmers selling at less than the MSP. This is better than procuring all crops, an impossible task. But many sellers lack formal documents and don’t get deficiency payments. Market prices are reportedly manipulated down by traders and farmers to maximise deficiency payments. This is inevitable, given perverse incentives, and a weak and corrupt administration. Arguably, Arun Jaitley’s MSP formula in the Budget is even worse. Efficiency requires cutting costs and maximising productivity. But a guaranteed 50% margin on costs provides an irresistible incentive to inflate costs and neglect efficiency and productivity. India has mostly small farmers, but also millions of medium and large farmers. They produce the most marketed surpluses, and will gain most from inflated MSPs. That is no way of relieving distress. Uniform guaranteed returns also destroy the incentive to grow the most productive, competitive crops, and discourage or scrap uncompetitive ones. It is simply wrong to decree the same profit margin for all crops regardless of how appropriate they are, or what the demand for them is. India should specialise in crops where it is most competitive, export these massively, and help finance the import of crops in which India is not competitive. That will maximise productivity and help double farm incomes. Even in semi-arid areas where no crop is internationally profitable, some crops will be more appropriate than others, and deserve higher profit margins than less appropriate ones. The best way to avoid such pitfalls is to subsidise farmers, not crops. 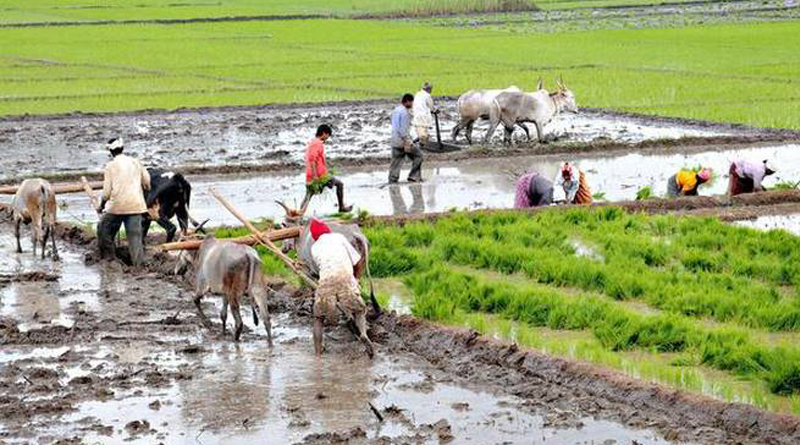 Telangana has a flat subsidy of ₹4,000 per acre per cropping season. This is administratively simple to implement, and reduces the potential for corruption and exclusion of the needy. Such a subsidy should be limited to 5 acres per family, so that it benefits poor farmers the most. This should facilitate the gradual elimination of MSPs, leaving prices to markets, as for industrial goods. Farmers will have recourse to MNREGA and crop insurance to relieve distress during droughts. That is a far better approach than distortionary, failed cost-plus approaches. In international fora, India has often lambasted western countries for massive subsidies for uncompetitive crops, encouraging overproduction that is dumped on world markets, depressing prices for Third World farmers. In the European Community (EC), this approach once created huge unsold mountains of butter and meat, and lakes of wine and milk. These were later sold at distress prices to the Soviet Union, their supposed foe. That craziness has now been reduced. European subsidies have shifted substantially to farmers rather than crops. This avoids uneconomic production and unwanted surpluses, while still aiding farmers. India’s new MSP policy threatens to repeat the EC’s old mistakes, instead of learning from them. Till now, MSPs have been calculated for each crop by the Commission on Agricultural Costs and Prices (CACP), which takes into account not just costsbut the supply-demand balance, international prices, rural-urban terms of trade and other factors. This reconciles several aims, and helps avoid huge surpluses of high-cost produce that cannot be exported. That approach is now being abandoned for a cost-plus formula bristling with distortionary risks. Former CACP chairman Ashok Gulati has shown that the actual margin over costs as defined in the Budget was as high as 112% for wheat, 79% for gram and 80% for lentils in the last rabi season. Last kharif, the margins were 39% for paddy, 9% for jowar, 5% for bajra, 37% for maize, 64% for tur dal and 32% for cotton. Will GoI actually lower prices for high-margin crops next season? That will be political suicide and economic stupidity. The Swaminathan Committee had suggested another cost-plus formula including capital costs such as interest on loans. Last year’s MSPs were 0-26% higher than costs defined this way. If GoI adopts the Swaminathan formula, the price of all crops will go through the roof, inflation will rage, and farm exports will collapse. Farmers may cheer, but it will be folly.